As a child, reading and cooking were important activities for me . . . they still are. I really love it when I can combine the two. Ned Visits Food Land is an engaging children’s book about food and nutrition. Ned is a young boy living in the big city. His parents work all day and rely on quick meals for family dining. Ned visits a relative’s farm and learns the differences in nutrition and taste of fresh fruits and vegetables versus boxed and canned foods. As a subtle reminder of the differences in taste and nutrition the illustrations of Ned by Sonja Gerard go from black and white to color as he begins eating and enjoying fresh foods. Debora Robinett, R.D. and her book Ned Visits Food Land. On TV, I’ve seen the difference in color shown best by Chef Gordon Ramsay. In an episode of Kitchen Nightmares where he was asking a restaurant owner why he was wasting his money on canned pea soup, when he could be using fresh peas, he easily compared the two versions. Ramsay took shelled peas from a local farmer’s market, briefly boiled them, poured off some of the water and then using an immersion blender he puréed the peas into a vibrant green liquid. He added a little salt and pepper, a garnish and the soup was complete. The owner couldn’t believe the color nor the difference in taste. Nor, could he believe the difference in cost per serving. Fresh was better in taste and cheaper in costs. Gordon Ramsay added a little salt and pepper, a garnish and the soup was complete. This children’s book is written by local author Debora Robinett, R.D. “Debora’s skills include nutrition and health promotion program development, individual nutrition counseling, and education of professionals regarding current issues in nutrition and functional health.” – www.deborarobinett.com. As a registered dietitian (R.D. ), Debora Robinett is a nutritionist, who advocates for people and their own health goals. She has nutrition information and healthy recipes on her website. She has appeared numerous times on King-TV’s New Day Northwest with Margaret Larson. I would present a plate of fruits, vegetables, and lemon wedges for a snack. The book offers all kinds of possibilities. The last two pages in the book deal with color swatches and fruits and vegetables and even mentions that lemon juice can change colors of those ingredients. I think a number of games could be centered around tastes, smells, and colors. For example if I were reading with a young grandchild. I would present a plate of fruits, vegetables, and lemon wedges for a snack. I would ask the child to experiment by squeezing a little juice on different fruits and vegetables and then sharing with me how the juice changed colors and the flavors for them. I would ask their opinion on what I should try. Or a trip to an orchard might be in order to pick and sample . . . and discuss . . . and re-read the book. I see the book being used in elementary school read-with-me programs as well as a fun family experience. 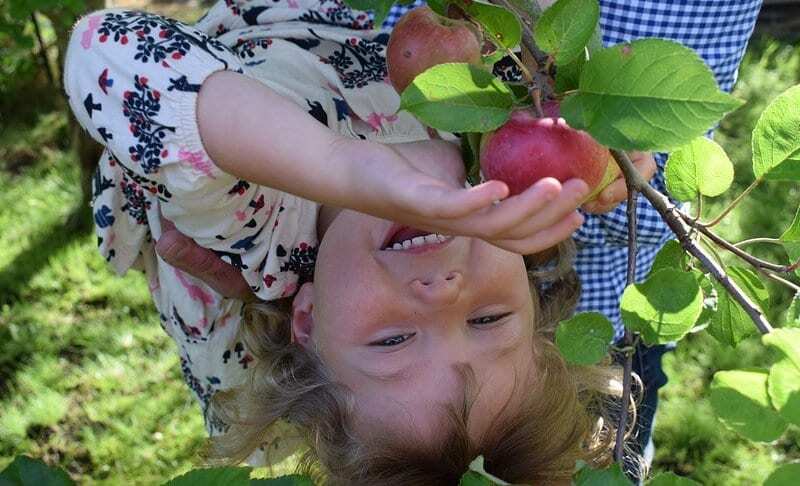 In an area with so many community farmers markets, backyard gardens and lots of fruit trees, there is no reason to not introduce youngsters to fresh foods. I could see the book being used in elementary school read-with-me programs as well as a fun family experience involving reading AND sharing gardening, gleaning, shopping, and cooking. Ned Visits Food Land is available on Amazon.com and LuLu.com in a printed format. Lulu also offers a a downloadable version. Interesting on view of the fact that the Feds want to send canned goods and shelf stable milk to SNAP recipients. Ought to send the book to POTUS, he might learn something. Thanks for reading and writing. POTUS learning something? You’ve turned it into a fairy tale! Thanks, again. I always enjoy seeing comments from readers.